In the wake of the increased interest in blockchain and cryptocurrencies, many companies have both launched and continued to grow – not least in Europe. But what exactly do these companies do and which of them have the best business ideas? Now, Trijo News lists the 15 hottest crypto companies in the Nordic countries. Chromaway is a Swedish company founded in 2014 and has its headquarters in Stockholm. According to their website, they are working on creating a new infrastructure for decentralized applications. 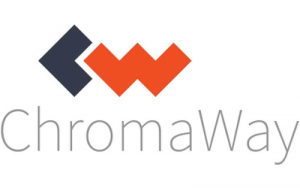 Recently, it became known that Chromaway has raised $15 million through an initial coin offering (ICO). The money comes from wealthy individuals and foreign venture capital companies and is going to be used to develop and market the new Chromapolis platform, which is a challenger to ethereum. “Chromapolis is a direct response to the issues that ethereum has with scalability and usability. 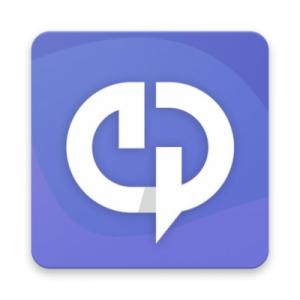 Chromapolis provides developers with a new, simpler and more powerful solution for creating decentralized applications”, said Henrik Hjelte, CEO and founder of Chromaway, to the news site Breakit. Chromaway is already well on the way as a blockchain company. Among other things, they have Lantmäteriet, the Swedish land registration agency, as a customer. But with a new exciting platform, and with $15 million backing them up, they have the potential to be a really big player in the crypto market. The business idea in one sentence: Create an infrastructure for decentralized applications. 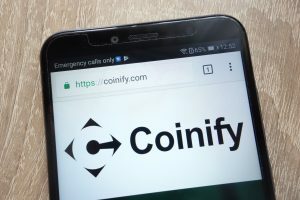 The Danish company Coinify was founded in 2014 and works, among other things, with helping online stores and companies to accept cryptocurrencies as payment. According to the company’s website, they already have over 30,000 companies using their service. In addition, major players like SEB Venture Capital have also invested in the company. The business idea in one sentence: Help companies and online stores to accept cryptocurrencies as a payment method. The Norwegian company Arcane Crypto was founded in 2018 with the idea of making investments in both cryptocurrencies and companies that in one way or another work with cryptocurrencies. So far, the business is under development, but with two of Norway’s heaviest investors backing the company, there is a lot indicating that we will hear more about Arcane Crypto in the future. The CEO of the company is the Norwegian crypto personality Torbjørn Bull Jenssen. The business idea in one sentence: Invest in cryptocurrencies and companies that in different ways work with cryptocurrencies or blockchain technology. Flype is a still quite unknown Swedish company that works with creating a platform for international package delivery. It is a delivery service that challenges the traditional postal companies by allowing you to bring along and deliver packages as you travel around the world – and then get paid for it. Flype has been called “the Uber of international delivery” and the company recently won the award as the most promising and unique project at the big crypto conference Malta Blockchain Summit. The fact that the controversial crypto personality John Mcafee, who usually has a big reach in the industry, recently joined the team as an adviser is also something that makes Flype seem to be on the rise. The business idea in one sentence: Create a platform for delivering services and enable anyone in the world to pick up and transport packages to different locations – and get paid for it. The company Payperblock is from Oulu, Finland. They are building a platform for freelancers and employers. They started to build the platform in November 2017 and are now working on releasing a beta version. An ICO was also planned to be launched in August 2018 with the goal of raising between $1 million and $5 million to further develop the platform, but it has been postponed until further notice. Payperblock’s goal is to lower the cost for freelancers as well as creating a transparent platform. Their main target group is freelancers and employers in the crypto industry, according to the company’s website. The business idea in one sentence: Create a decentralized marketplace for freelancers and employers. The Swedish crypto startup Bitrefill helps its customers to buy gift cards with cryptocurrencies. For example, you can buy gift cards on sites like the online store Zalando or add money to your prepaid sim card to your mobile phone. Bitrefill also has a service where you can pay bills with bitcoin and other cryptocurrencies, the company writes on its website. The fact that Bitrefill also was one of the first companies to integrate payments with Lightning Network for their services shows that they are at the forefront. The business idea in one sentence: Sell different kinds of gift cards and let customers pay bills with bitcoin and altcoins. The Norwegian company Bitgate wants to build a mobile wallet for cryptocurrencies, which allows users to buy, sell and send cryptocurrencies to their mobile phone contacts, Bitgate writes on their website. The company wants to achive this by using local electronic identification. The idea is to make it as easy to handle cryptocurrencies as common banking services. At the moment, the company is working with a closed beta version in Norway and plans to launch the wallet on the open market later this year. If Bitgate succeeds in simplifying the handling of cryptocurrencies and if they reach a broad audience, there is a good chance that the company becomes a major player in the crypto industry. The business idea in one sentence: Create a cryptocurrency mobile wallet using electronic identification. Superblocks is a Swedish company founded in the spring of 2018. The company works with helping and making it easier for people to code and build smart contracts on ethereum, and to build decentralized applications, according to their website. Superblock’s long-term goal is to become a global “WordPress” for decentralized apps, the Swedish news site Di Digital has written. If Superblocks succeeds with that, they will probably become a big name in the crypto world. The business idea in one sentence: Make it easier for people to build decentralized apps using the ethereum blockchain. Aryze is a crypto startup founded in Copenhagen, Denmark. The company has created a so-called stable coin, backed by traditional assets. 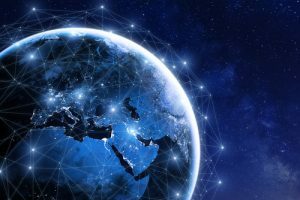 Aryze writes on their website that their goal is to create a payment infrastructure that allows people and businesses to make immediate payments globally without transaction fees. The company is currently on the verge of closing their first private funding round. The business idea in one sentence: Build bridges between traditional assets and crypto assets. The Swedish startup Altpocket offers a service that helps people to follow the price development for cryptocurrencies. They are about to create an app that will make it easier for people to keep track of how much their cryptocurrencies are worth on different trading platforms such as Binance, Poloniex, Coinbase and Bittrex. Altpocket has experienced a rapid growth for its service and has attracted over 100,000 international users. Recently, the company also raised money from big Swedish bitcoin personalities, something Trijo News reported about. The business idea in one sentence: Create a platform that helps users get an overview of their crypto portfolio. The company Blockshipping comes from Denmark and was founded by Peter Ludvigsen, who previously worked for the shipping giant Maersk. Blockshipping wants to create a platform to solve empty container issues and enable general streamlining in the shipping industry. The company currently is doing an ICO with a token that is supposed to be used on the platform, according to their website. 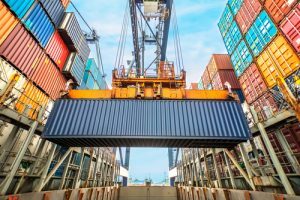 The business idea in one sentence: Create a platform for shipping companies that enables them to collaborate and streamline different types of processes. The company Safello was founded in 2013 as one of the first bitcoin brokers in Sweden. Today, they offer Swedish customers to buy and sell bitcoin through the Swedish payment service Swish. Internationally, they offer customers to pay for bitcoin with Visa and Mastercard. Safello has been reported about by major news sites such as Wall Street Journal and Forbes. According to the company’s website, they also have several heavy names behind them as investors in the company, such as the bitcoin cash advocate Roger Ver and Erik Voorhees, CEO of the crypto exchange Shapeshift. Recently, Safello also launched a service that makes it easy for virtually anybody to sell bitcoin via a widget. For example, if you sell bitcoin to other people on your site via their widget, you get commissioned for the transaction. The business idea in one sentence: Sell bitcoin via Swish, a Swedish payment method, and bank cards as well as help companies with solutions for crypto exchanges. Friend up cloud was founded in Norway in 2014. The company works, among other things, with decentralized cloud services and to create a decentralized cloud computer where data is distributed across multiple locations. 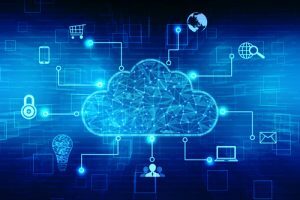 With these cloud services, the company can offer services like custom cloud storage, video conferencing, application access, user access and identification, the company writes on its website. The business idea in one sentence: Create a decentralized cloud services and cloud computing network. Btcx was founded in 2012 as the first Swedish bitcoin company. They work to offer their customers a way to quickly and easily buy bitcoin and ethereum. During 2018, Btcx has wanted to expand its business by, among other things, acquiring the crypto exchange Nova. However, the exchange is not intended to go under the Btcx brand and has remained under its own name. With the help of Nova, Btcx can become more international and offer larger parts of the world trading with hundreds of different cryptocurrencies. The business idea in one sentence: Offer customers to easily and quickly buy and sell bitcoin. The company Prasos was founded in Finland in 2012 and works in several areas in the crypto world. The company operates, among other things, the crypto exchange Coinmotion, where customers can trade with bitcoin and litecoin. Although Bloomberg wrote that Prasos had problems with several Finnish banks that closed down their bank accounts, the crypto exchange was reported to have a trading volume of 185 million euros in 2017. Prasos also runs the company Bittimaatti, which currently has nine so-called bitcoin ATMs, places where you can exchange euro to bitcoin, at different locations in Finland. The business idea in one sentence: Help users and companies with different blockchain solutions as well as run a crypto exchange and offer bitcoin ATMs.